The next big growth in education is known as E-Learning. With a bunch of international universities already spearheading on this road, there are numerous advantages to E-Learning. In reality, there are more pros than otherwise considering the reach, accessibility, and preservation of E-Learning content in comparison to classroom learning. The major con or probably the only disadvantage is that the budget and time to implement this is very demanding. As long as the flexibility is concerned it is worth the results, there should be no harm going for the head-spin. 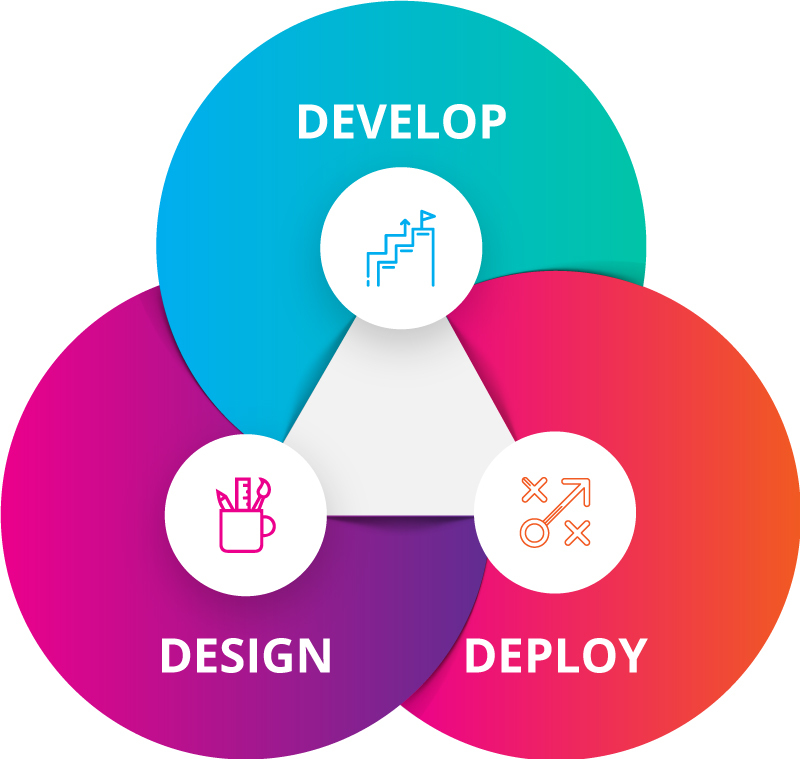 To solve the complex breakdown of challenges involved in the demand for budget and time, we have short development cycles, concurrent design and development and template sources for reuse and revamping. At IVT, we view the teaching-learning pivots differently. Keeping that in mind, we design our instructional content that allows learners to learn at their own pace. 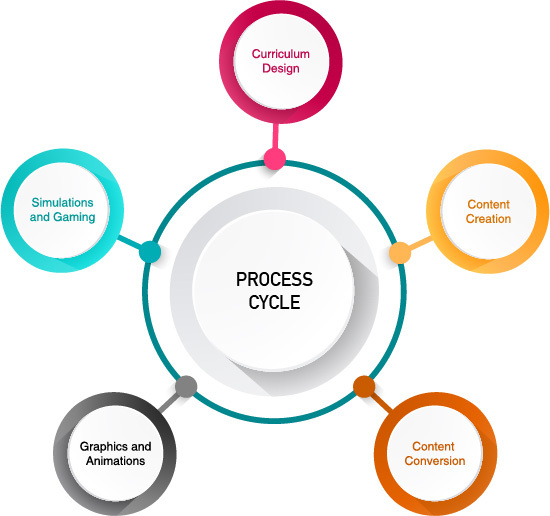 Our tailor-made solutions include Instructor Led Training (ILT), Web Based Training (WBT), Computer Based Training (CBT), Simulation Based Learning, Mobile Learning (M-Learning), and Blended Learning. IVT has scripted cost-effective, dynamic learning paradigms for Corporates, K–12 Education, Higher Education, etc. 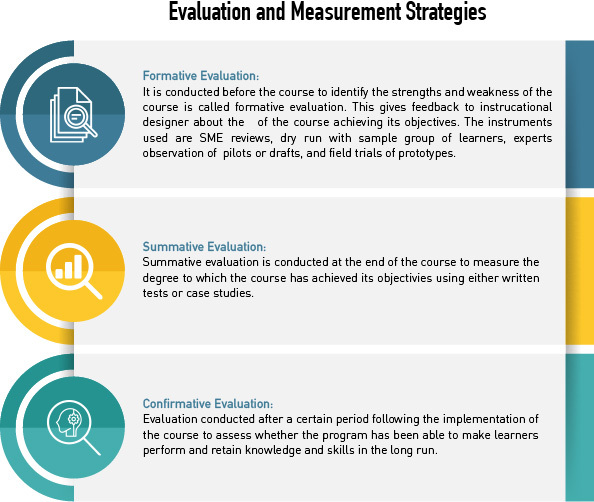 Whatever the strategies adopted, the instructional approach followed by IVT is derived from our pedagogical purpose and the one ultimate objective – that of educating and empowering the learner. Quality begins and ends with the talent, skills and experience of the people assigned to our projects. Recruiting talented individuals, assigning the right person to each project and task, as well as maintaining and improving skills through formal training and mentoring are all key components for having successful projects delivering quality products. 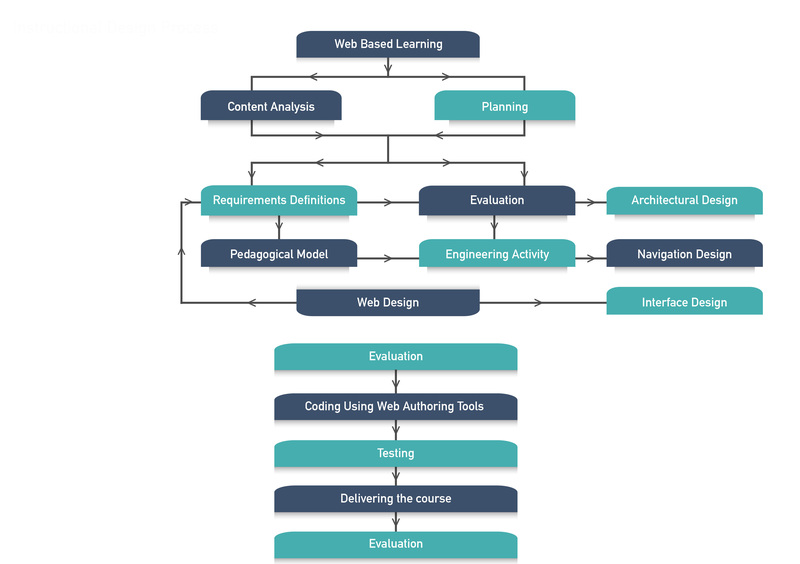 Given the intrinsic nature and complexity of software development projects, a disciplined approach based on the utilization of standard and repeatable processes is a necessity in order to deliver Quality products on a consistent basis. The use of these processes is also supplemented with a quality culture oriented towards "doing it right the first time". Quality Plan - Up front definition of a Quality Plan encompassing all Quality Assurance strategies and major tasks to be included at a project level. Acceptance Criteria Definition - Ensuring same understanding with the customer about what Quality means for the project as well as for each component to be produced. This is achieved by specifying the Acceptance Criteria expected to be met by each product. Peer Reviews - Scheduling and participating in Peer Reviews with the purpose of identifying actual or potential defects as early as possible along the development process. All major documents and key components are subject to mandatory peer reviews. Testing - Comprehensive testing activities properly planned and executed in accordance to individual component checklists, detailed test scenarios, test cases and test scripts, as well as a disciplined approach to defect tracking and removal. 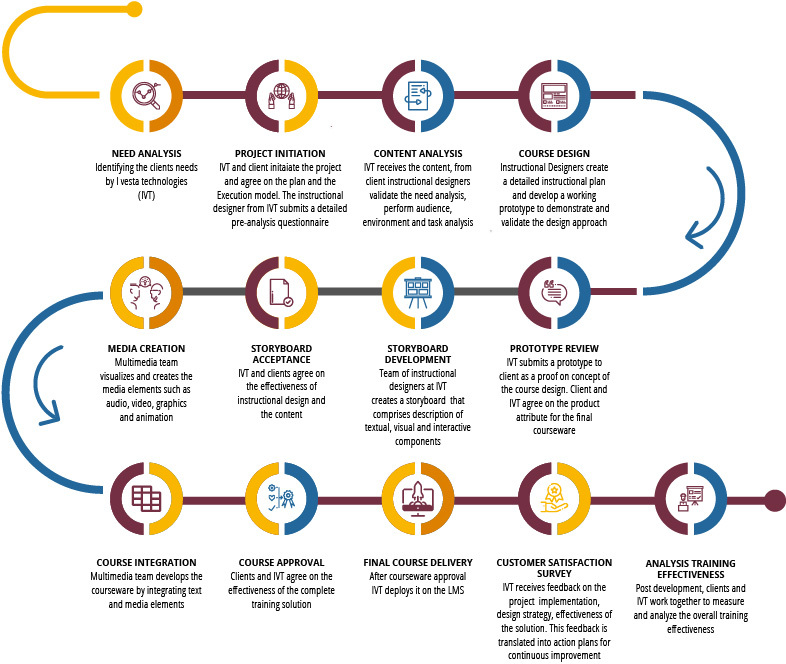 The courseware would be designed and developed by professionals, including Lead Instructional Designers, Visualizers, Subject Matter Experts, Team leads, Senior Artists, Animators, Programmers, Template Designers, Language verification experts, Sound Engineers, Visual Design Experts, Voice over talents and senior Project Manager. The e-contents developed would be hosted in the state-of-the-art DATA CENTER. The e-contents would be ported into the proprietary LMS for effective deployment, measure and monitor the competencies of every user. Appropriate Train the Trainer programs will be conducted at the end of the rollout by the project team for better utilization of the programs.